A monochromatic room starts with one anchor color, but doesn’t end there. Instead, color theory allows us to play with the range of tones, shades and tints that complement your base so your room has a unifying element that’s anything but boring. Like all design principles, monochrome exists on a spectrum, and can take shape in the form of large-scale elements like wall color and furniture, or through small details like accent pieces. Versatile, clean and striking, monochromatic interiors require more than thought just blanketing a room in a single shade. The concept opens up a world of possibilities by encouraging creative use of patterns and textures, bold design choices and much more. Learn more about why we love monochrome interiors. 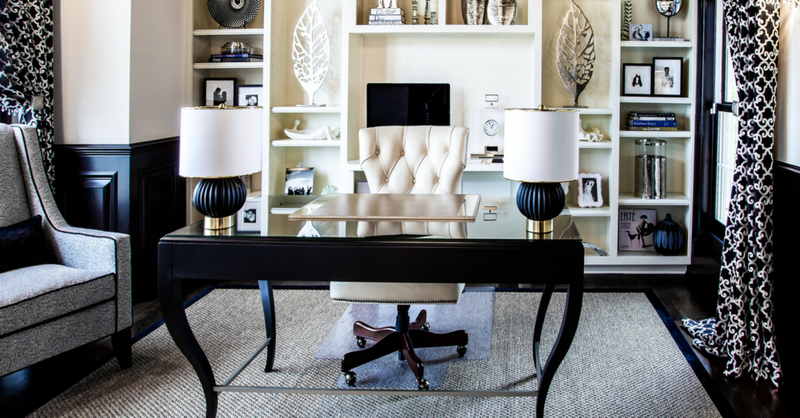 Accents dominate in a monochromatic room, with contrasting artwork and patterned décor taking center stage. Include a patterned throw, display souvenirs from your travels, or make a gallery wall to exhibit your evolving art collection—the opportunities to inject your personality into your home are endless. Monochromatic interiors are the perfect laboratory for fans of minimalism who still want to add their own voice to a room. A limited color palette gives you space to mix and match patterns, textures and styles in a sophisticated way. For example, subtle chevron drapes might clash with a floral rug, but can look purposeful if they all include large swaths of the same color and coexist against a monochromatic backdrop. Embrace time travel, one of 2018’s biggest trends, and mix heirlooms with contemporary pieces to make a one-of-a-kind statement. 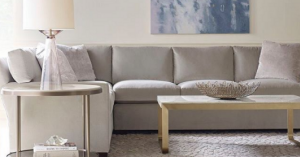 With a little planning, any room can be transformed into a chic monochromatic space that you can update with subtle resets as often as your mood changes. Contact us if you’re looking to take the plunge and make monochrome design work for you and your home.